Styrofoam balls are for more than just snowballs for pretend indoor fights. 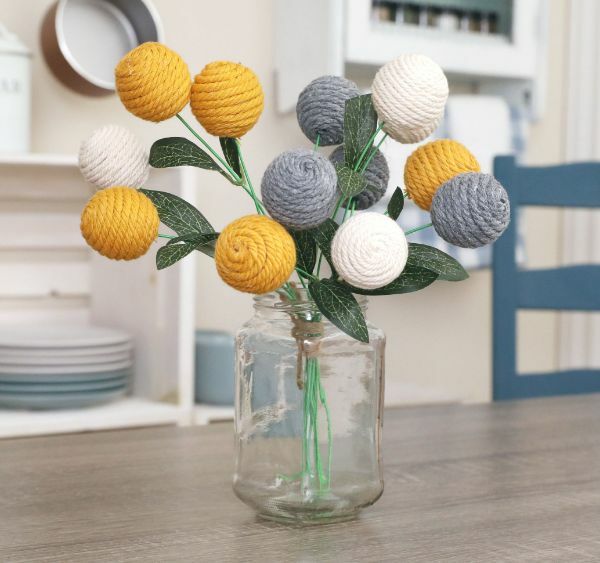 Brighten up any room with a vase full of colorful yarn flowers made with Styrofoam balls. The color scheme is up to you. Go with something complementary to your decor, or think monochrome with black and white flowers. It doesn't matter where you first place the yarn on the ball, but the trick to full coverage is to make sure there are no gaps between yarn levels as you wind the yarn around. You may use slightly larger Styrofoam balls, but keep in mind the weight in terms of how much the floral stem can hold without excessive bending. 1. 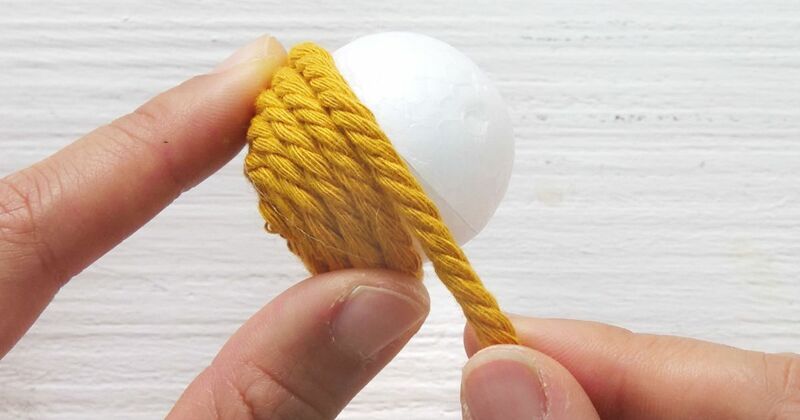 Apply a small dab of glue to one Styrofoam ball. Press the end of the yellow yarn to the glue. 2. Apply a small dab of glue next to the attached yarn. Press the yellow yarn to the glue. 3. Continue applying glue and wrapping the yarn in a circular manner around the ball. Cut off excess yarn when the ball is covered. 4. Repeat steps 1, 2 and 3 for three additional yellow balls, four blue balls and four white balls. 5. Cut 12 pieces of the wire to serve as stems. Create varying lengths so the balls will be at different heights. 6. Put a dab of hot glue on the end of a wire stem and press a ball onto it. Repeat until each ball is on a stem. 7. Slide off the fake leaves from the floral stem. Slide one set up each wire stem. Apply a dab of glue to the base of the leaves so they stay in place. 8. Tie the stems together loosely with a small piece of yarn so they stay together. 9. Put the bouquet into the vase or large glass jar.